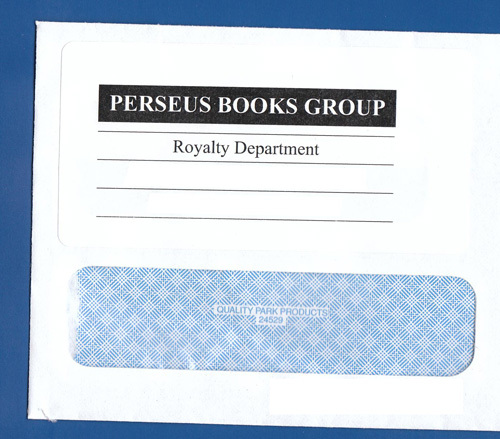 Twice a year my publisher sends me a royalty check. It’s always exciting, like getting a scratch-off lottery ticket that’s guaranteed to win. You just don’t know how much is waiting for you. It can vary by thousands of dollars from statement to statement, so I have no idea how much I’m going to get each time. I’m just glad I’ve been able to eek out a bit of a living from my writing and I never cease to be amazed by it. As a freelancer, I consider these checks to be like my Christmas bonus. 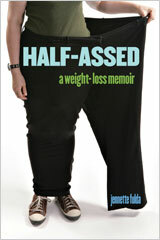 I am really grateful that my book Half-Assed: A Weight-Loss Memoir continues to sell even four and a half years after its initial publication. I watch what I spend my money on rather carefully, so it’s humbling to know someone (or multiple someones) decided my writing was worth their cash. If you’ve ever bought a copy of the book, thank you! I truly appreciate it. It does directly affect me and my ability to do things like fly home for Thanksgiving, so thank you, thank you, thank you! I will mention you when I’m giving thanks on that fourth Thursday of November. Since I know you’ll ask, Chocolate & Vicodin is still selling too, but I’m still in the process of earning out my advance for that one, partly because I got a bigger advance for my second book. And I was able to get that bigger advance because my first book has done well, so thank you again! Earlier: Other people’s mail. Other people’s lives. Yaay, congrats! And I thoroughly enjoyed reading both your books. 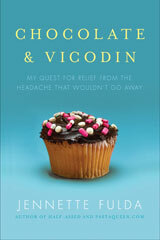 I would like to think that I have a bit to play in the Chocolate & Vicodin success! i have post-herpetic neuralgia that has led o chronic pain + migraines and when I read your book IT SPOKE TO ME! And subsequently, all my friends purchased the book to get a better understanding of what I am going through! I am sure I am not the only one with that story! @dana – Thanks! I really do appreciate it. Thank YOU for writing half assed. I loved it and identified with you on so many levels. I found this blog through the book, I only wish I had read your book earlier so that I could have followed along as you blogged on your earlier site!